Finding a game with the right mix of beautiful atmosphere and enticing adventure is the real sweet spot. It often seems to be an arguing point of whether graphics or gameplay is a more important aspect while playing a game. In Ori and the Blind Forest, however, there’s no need to debate. From the very get-go, the graphics and musical composition are simply beautiful, and the game proves to be surprisingly clever and difficult throughout. There isn’t a way to adequately state how gorgeous Ori and the Blind Forest is. The moment that sticks out is the first time you control Ori and walk out of a cave when suddenly, the world around you comes to life as if it exploded out of a cannon. All aspects of nature in the forest seem like they were just painted there, except everything in the foreground and background is full of life. The soundtrack complements the setting fantastically and matches the mood in both the bright and dark moments. 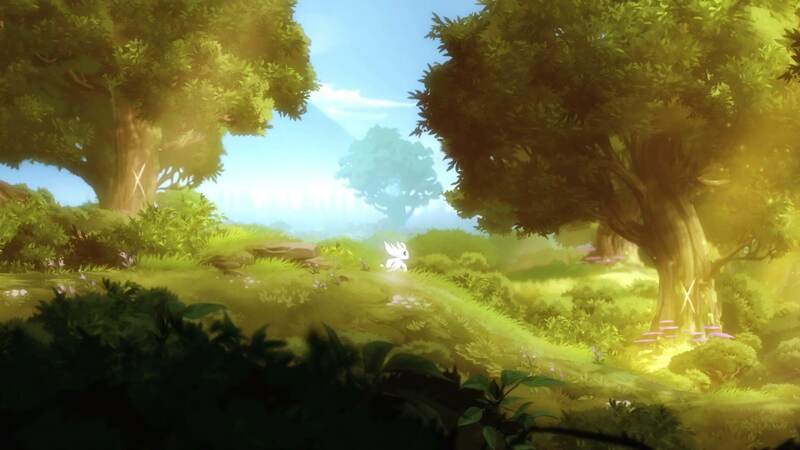 Ori and the Blind Forest is very much a coming-of-age type story. Ori is a cat-like creature who gets separated from the Spirit Tree, which sustains all forms of life in the forest. Essentially an orphan, Ori is taken in and raised by the friendly creature Naru, and the two go about living a happy life together. Just as things seem as perfect as can be, a cataclysmic event results in the once beautiful forest beginning to die. 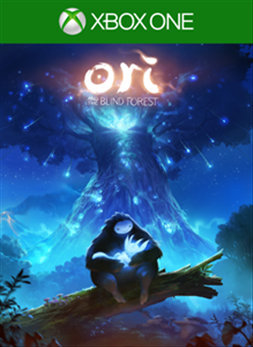 Finding himself alone again, Ori must set out to restore the Spirit Tree and save the forest. When Ori first encounters the spirit Sein, who acts as Ori’s traveling partner and guide, he is still very frail. Starting with only the ability to jump and use a basic attack, Ori is limited with what he can do and where he can go. The game itself is tremendous in size, with each part of the map (dungeons being the exception) seamlessly connected, allowing the player to walk from end to end without stopping for load screens. Every location in the game is accessible in a sense, so long as you have learned the ability required to access it. 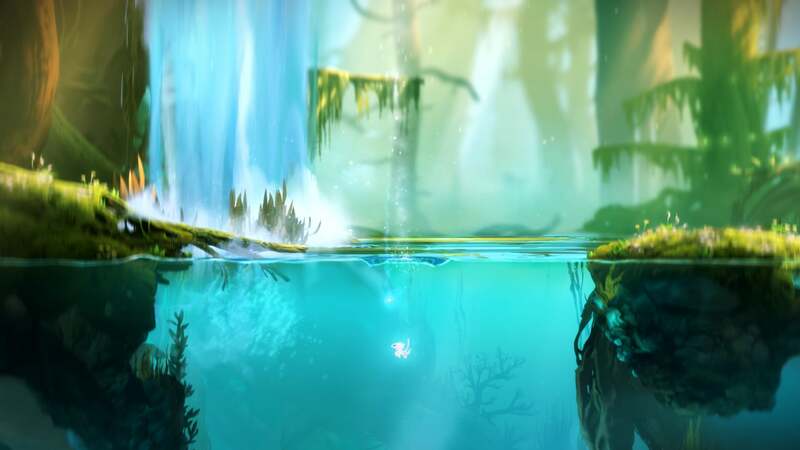 Instead of random invisible walls that won’t let Ori continue down a path, there will usually be a large jump that he cannot reach until later on. These abilities are granted to Ori from different spirits located throughout the forest. 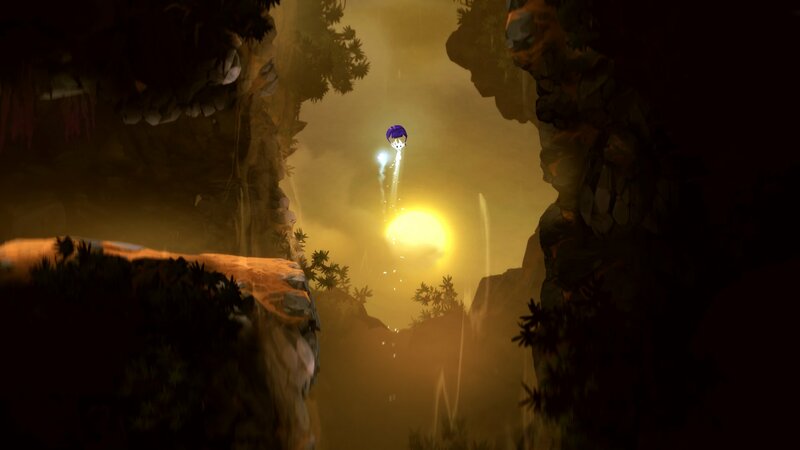 While there are basic abilities such as double-jumping and wall-running, more advanced abilities allow Ori to propel off enemies or their projectiles in a chosen direction, while another launches him off the ground or walls for extra distance. Everything is fanned out to allow players to learn and master an ability in a specific section before moving on to a new area. Further on into the game, players will have to react quickly and move from ability to ability in order to successfully make it through certain sections. This is especially the case in the dungeons and escape sequences, which require players to perform the platforming masterfully. Aside from the abilities that are picked up through natural play, Ori also levels up using Ability points. Every time an enemy is slain, they drop experience which eventually is used to increase attack damage, make energy costs cheaper, and other upgrades. The world is littered with Ability orbs, as well as Energy and Health orbs, which provide instant boosts to their categories. The game does not feature a fast-travel system, which can definitely be annoying at times, but doesn’t feel like much of a burden, since going through the same areas often leads to sections and orbs that were inaccessible beforehand. Perhaps because of how beautiful the game looks, it is surprising how challenging Ori and the Blind Forest can be. Both the terrain and enemies present a constant danger, as Ori can only ever take a few hits before dying, no matter how full the health bar is. The true test to the player comes in the game’s three dungeons. While the gameplay may remain relatively the same, the difficulty receives a pretty hefty spike, and the player will have to be on point with their platforming and timing to stay alive. Fortunately “soul links” can be created in safe areas to serve as checkpoints, so dying at a difficult location doesn’t mean having to go back five minutes if you create one beforehand. It becomes essential to keep up with your soul link placement later on, as when the intensity starts amping up, it can be hard to keep track of Ori on screen at times, which can lead to dying over and over in certain sections. In place of traditional boss fights, Ori and the Blind Forest has “escape sequences” at the end of each dungeon. These standalone sections are by far the most tasking of the game, as you race to make it to the exit as the danger closes in behind you. So while you have to complete these sections as fast as possible, you also have to do it while performing arguably the hardest platforming sections of the game. Soul links cannot be created at any part during the sequence, and so it really comes down to trial-and-error until you learn how to master each section. While the escapes can border on frustrating, the challenge of it all, and completing the sections successfully, leaves a fulfilling feeling. For as gorgeous as the game is visually, and as large as it is with the size of the connected map, there aren't many slowdowns or dips in the game’s performance. However, one major issue occurred where on two different occasions I must have glitched into a section of the game I wasn’t supposed to reach. As a result, there was no way to get back out, and I became save-trapped and unable to move forward. The first time it happened was fortunately very early into the game and it was easy to get back to in a new game. The second time, however, was towards the very end of the game, and if it wasn’t for my hindsight of having multiple saves, I would have had to restart and play through the entire game again. I cannot stress the importance of creating copies of your saves enough, as others have run into the same issue. 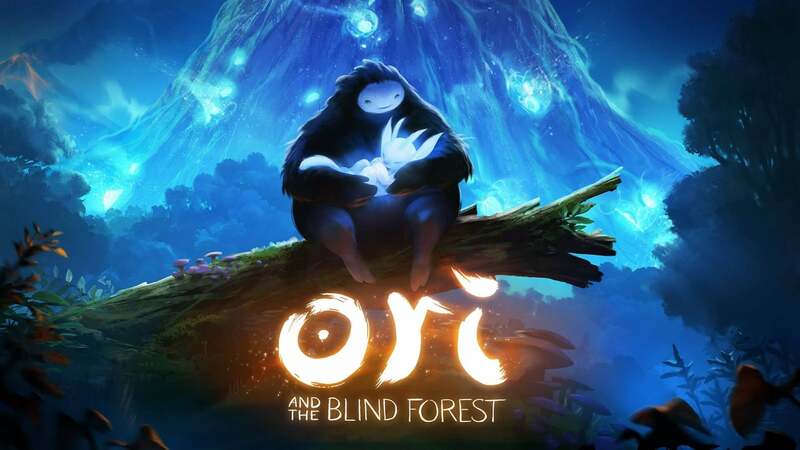 Achievement wise, Ori and the Blind Forest has the potential to take a lengthy time to complete. One thing to take note of is that when you enter the last dungeon and complete the game, you can no longer return to the main world to gather all of the different orbs, or visit all areas of the map that you missed before. So those who aren’t careful and don’t make additional save files, will have to make multiple runs through the game. Aside from the standard story-related, weapon kills, and unlock all upgrades achievements there are a few standouts. One achievement challenges the player to complete the game without dying, while another requires you to not use an Ability Point, and a third requires completion of the game in under three hours. The reviewer spent over 14 hours playing through the game's story. Along the way 28 of the 50 achievements were unlocked. A digital copy of the game was provided by the publisher for the purpose of this review.